Uber, the on-demand car service sweeping major cities around the globe, now looks likely be valued at $7 billion more than analysts had thought. While just days ago investors expected to see a $10 billion valuation, the figure has suddenly jumped to $17 billion, according to a Sunday report in The Wall Street Journal. This may scare off some investors, but could launch the car-sharing app into an exclusive club of the most valuable tech companies. Uber allows users to find cab drivers nearby within minutes, saving the time and effort usually required to catch a taxi. Since its founding in 2009 by Travis Kalanick and Garrett Camp, the San Francisco-based company has exploded in popularity, but not without controversy. 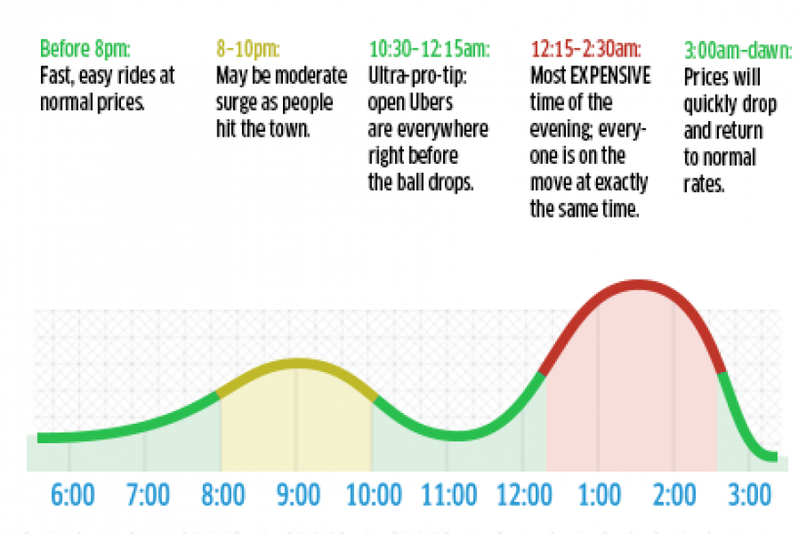 Their surge pricing method, which raises rates during times of high demand, has been widely criticized, and traditional cab drivers aren’t too pleased about where their customers are going. Last Thursday, 30 taxi drivers circled Uber’s headquarters on Boston, honking for more than an hour, calling on city officials to establish tighter restrictions, and to appoint a commission to oversee the ride-sharing industry, according to a report in The Boston Globe. Black cabs in London are planning a similar protest early in June after various complaints to local transport authorities, according to The Independent. Uber is also facing pressure in San Francisco and Connecticut and has been banned in some cities. Despite the backlash, Uber is still an attractive investment with a bright future. It boasts a weekly income of more than $20 million and more than 400,000 active users, attracting a $258 million investment from Google Ventures and private equity firm TPD, according to The Financial Times. If its valuation does reach $17 billion, Uber will rank among the highest-earning tech IPOs, along with as Airbnb Inc. and Dropbox Inc., which were valued at $10 billion each over the past year. “I bet investors will give Kalanick the $10 billion plus valuation he wants,” wrote Forbes reporter Steven Bertoni last week, citing the high quality of the Uber product, its “disrupt” status in the industry, and fat margins thanks to its “pure middleman” nature. Bertoni also wrote about the great potential for the Uber platform to facilitate everything from flower delivery to on-demand ice cream. Blackrock Inc., PE first General Atlantic and Technology Crossover Ventures were listed as possible investors, but The Wall Street Journal reported that General Atlantic dropped out after considering a $14 billion deal. Did Uber New York Actually Spam a Rival Service To Disrupt Their Business?